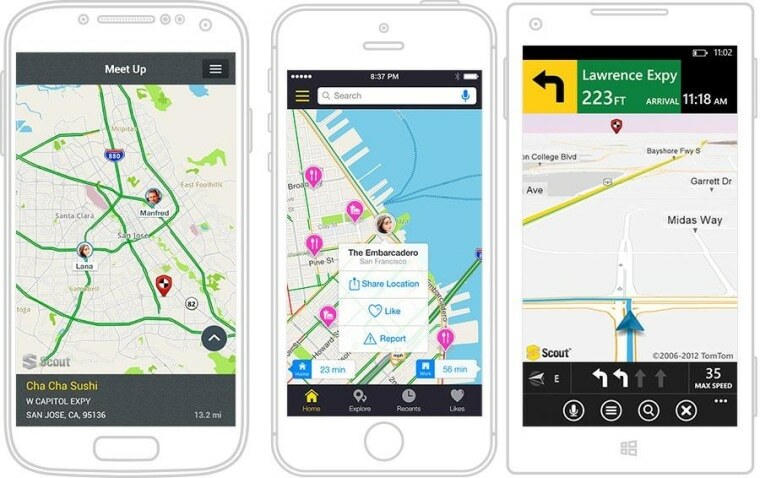 Navigation app Scout announced Monday it is switching to the free, user-moderated OpenStreetMap system for its mapping data. It's a major advance for the open-source maps project, and may end up superior to paid alternatives and giants like Google Maps. Started 10 years ago, OpenStreetMap is a project that aims to map the whole world in high fidelity for free and using data submitted by the users themselves. While it started out a bit rough, it's now competitive with rivals from billion-dollar companies, and the latest update solves one of the hardest tasks in mapping: navigation. A good map is nice, but if you want to give turn-by-turn directions, that map has to have speed limits, one-way streets, freeway exit numbers, and of course the location of every single numbered address. That set of data is so voluminous, and so tedious to integrate, that it was only just now accomplished — after spending what OSM's founder, Steve Coast, called "approximately a zillion man-years" getting things right. The work was actually done by Telenav, which makes a wide range of navigation products, including Scout, which is free on iOS, Android and Windows Phone. But the data Telenav used (stop sign locations, onramp directions, and all that) is being provided to the OSM project, though it'll take a while to be integrated completely. And since OSM is open-source and community-moderated, any inaccuracies or omissions will be quickly corrected — by you, if you want. Just sign up and add that new traffic island on your street or remove the building they knocked down this morning. This is good news for people who aren't into the look of Bing Maps, who don't want to spend money on a standalone unit (so outdated), or who prefer not to provide their location to Google.